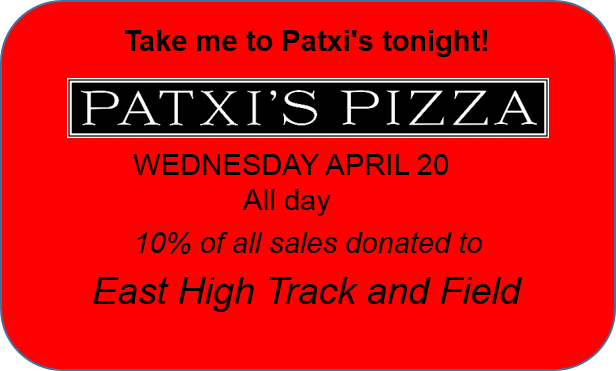 Wednesday April 20, Patxi’s Pizza uptown (on 17th at Franklin) will donate 10% of all purchases ALL DAY to East Track and Field. Come in for lunch, dinner, or happy hour. Order a half-baked pizza for later. Pick up an amazing deep dish to take home. Come hang out and catch up with the team for dinner after practice. 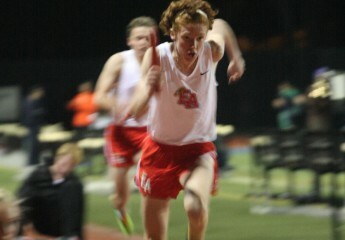 There are so many ways to support our hard working athletes and enjoy amazing food. You can also get a free appetizer if you join online the Patxi’s VIP membership online. Visit www.patxispizza.com and click on the Become a VIP link to sign up. Then just show the server your phone with the loyalty app downloaded after signing up and you get a free appetizer.